Powerful graphics. Powerfully smart. The XPS™ 15 laptop has what it takes to take you to new levels of performance. Its top-of-the line adaptable speed and responsiveness makes the 2nd generation Intel Core processor the ideal choice for visibly smart performance. Whether it’s HD or 3D, multitasking or multimedia, this processor can handle it all. Its top-of-the-line adaptable speed and responsiveness make the 2nd generation Intel Core processor the ideal choice for visibly smart performance at its best. The XPS 15 has leading-edge NVIDIA performance graphics* (up to 2GB) for powerful photo and video editing and high-resolution gaming with breathtaking detail. Long media marathons are no problem with smart power management that helps extend battery life when you need it. NVIDIA® Optimus™ technology automatically optimizes your battery life while maintaining the graphics performance you expect — completely, seamlessly and transparently — whether you’re watching an HD movie, surfing the web or playing a 3D game. High-fidelity JBL® speakers combined with Waves MaxxAudio® 3 technology produce rich, full sound that delivers booming bass and razor-sharp clarity to your favorite movies, music and games. Treat your ears with up to 20W of peak audio performance on the XPS™ 15. Using the same award-winning Waves algorithms heard on hit records, major motion pictures and popular video games the world over, MaxxAudio is designed to deliver better dynamic range, frequency response and imaging, with maximum transparency, clarity and natural sound. Waves Pro Audio® tools are endorsed by many of the biggest names in show business, including Comedy Central’s South Park and 50+ million-selling rockers Linkin Park. Plus, your sound is fully customizable. Personalize, store and dial up your own precision presets. With a touch of your finger, the exclusive Waves button on your XPS laptop gives you instant access to the MaxxAudio interface. The ultimate laptop sound is only a touch away! Connect with your loved ones across the globe in stunning high definition using the Internet and XPS 15’s HD webcam. It’s the first webcam to offer HD video streaming for ultraclear 720p resolution. That means you can go to full screen while chatting and still maintain a very crisp image of your loved ones. Experience the moment as if you were there. You can also record and share videos at low resolution, for sending via email or at high resolution, to post to YouTube™. 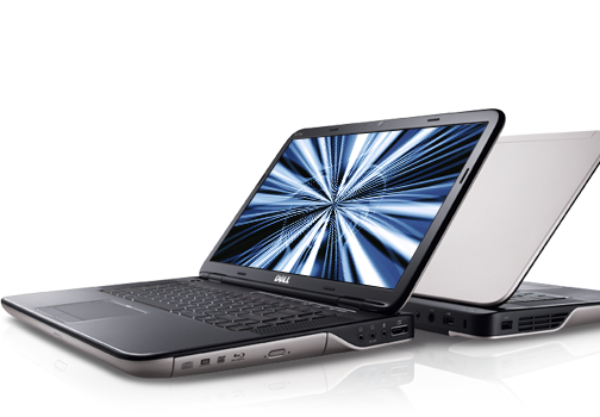 XPS laptops are the first Dell laptops to offer integrated NVIDIA® 3DTV* Play technology. This technology enables you to leverage the 3D processing power of GeForce® graphics to create an immersive 3D experience in your own home, on a compatible 3D TV. Simply connect your laptop to a 3D-enabled TV and effortlessly project your favorite Blu-ray* 3D movies and 3D photo slideshows for a real-life theater experience. Then, bring your 3D-enabled games* to life. With the power of your laptop and a 3D TV, you can step into an eye-popping 3D gaming experience right in your living room. To harness the 3D power of your XPS 15, all you need is a high-definition multimedia interface (HDMI) cable, optional Blu-ray Disc™ drive, an NVIDIA compatible 3DTV, 3D glasses and 3D media*. We’ve made a number of customer-initiated refinements to our XPS laptops. The XPS design process incorporates rigorous testing that is developed to align with our real-world customer feedback and use. We even step out of the testing labs and have our own employees and customers beta-test these laptops to provide ongoing feedback to engineering.